The 21st century is a challenging time and it is important that both teachers and school learners become self-directed learners. The North-West University's (NWU's) research focus area for Self-directed Learning (SDL), under the directorship of Prof Elsa Mentz, focuses especially on indigenous knowledge for self-directed learning in the science and mathematics classroom. The big question, he says, is whether this process can happen in a schooling system where transmission-mode teaching dominates and which is driven by preparing learners for examinations. The research focus area has eight subprogrammes. One of these focuses on indigenous knowledge for self-directed learning. This subprogramme supports research on teacher professional development where indigenous knowledge is incorporated into the teaching of natural sciences and mathematics. This is of the utmost relevance in an era of the “decolonisation of the curriculum,” Josef says. The basic assumption is that indigenous knowledge could contribute to better contextualisation of science or mathematics curriculum themes, so that learners experience the curriculum content as relevant to their own lives. He says the project has the support of the National Research Foundation (NRF), which funds three-day short courses for teachers. During these courses, teachers learn how to infuse indigenous knowledge into their teaching of CAPS topics, using the processes of science. Josef, the principal investigator, obtained funding from the Competitive Programme for Rated Researchers, as well as the Indigenous Knowledge Systems NRF programmes. Life Sciences teachers do laboratory work during the short course. Here they are engaged in the Kirby-Bauer technique to test anti-microbial properties of muthi plants. Josef said the problem is that transfer to the classroom does not automatically follow these interventions. One of the reasons for this is that many teachers teach in underresourced classrooms. The Fuchs Foundation chose this project as one of 12 national flagship programmes, and the foundation's funding of R2,25 million is used to provide mathematics and science teachers with apparatus and equipment for their classrooms. Among others, the NWU researchers work with Prof Manu Prakash from Stanford University in America to develop these kits, which would include his “Foldscope” microscopes. Although these paper microscopes cost about US$ 1 (R13) per microscope, they allow for a magnification of up to 2 000 times. Josef says in rural communities that are often plagued by polluted water resources that could cause disease, these small microscopes provide wonderful opportunities to science teachers to make science locally relevant and engage learners in authentic problems in their communities. In the project, both problem-based learning and cooperative learning approaches are emphasised, and teachers are sensitised towards the use of such approaches in the science, technology, engineering and mathematics (STEM) classroom. Although the focus is predominantly on Senior Phase (grades 7 – 9) and FET (grades 10 – 12) teachers, the project also targets Foundation Phase and Intermediate Phase teachers, for example through the use of puppetry in the classroom. Puppetry can be a very effective pedagogy to teach learners about the nature of science, and the nature of indigenous knowledge. The Department of Science and Technology is nowadays promoting STEAM education (science, technology, engineering, arts and mathematics), and no longer the more narrow STEM grouping only. 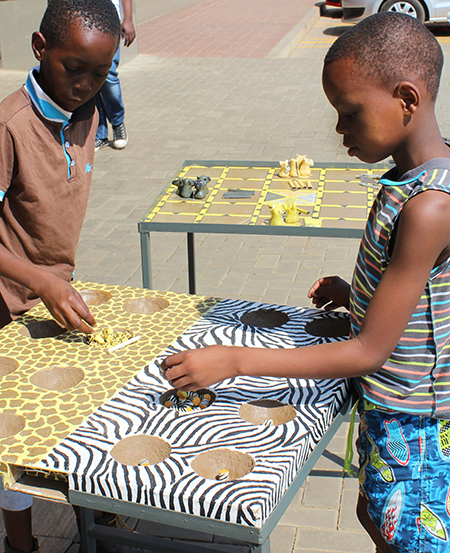 This project emphasises that learners should enter the science or mathematics classroom as homo ludens - the playing human. Teachers are shown how a pedagogy of play could support conceptual development of learners. The puppets (sponsored by the Fuchs Foundation), are produced by a marginalised community in Jan Kempdorp, and the project therefore also has a strong community engagement focus as it puts food on peoples’ tables. The Indigenous Knowledge for Self-directed Learning project provides a community of practice platform to researchers from the NWU, the University of Limpopo, the University of Johannesburg and the University of the Free State, as well as Georgia State University and Stanford University in America. “We have also partnered with the holders of indigenous knowledge at the Mphebatho Museum in Moruleng,” says Josef. Several master’s and PhD students are pursuing postgraduate studies through this project. 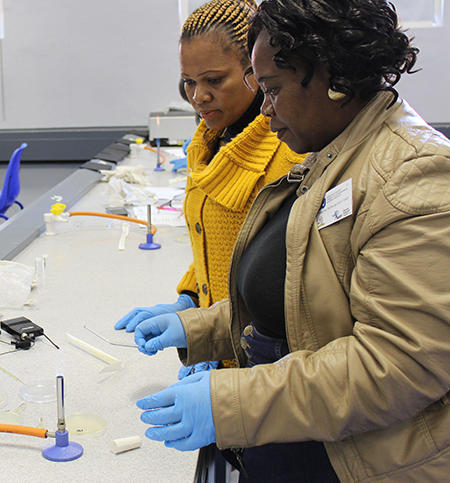 To date, short courses have been offered to mathematics, life sciences and technology teachers in Limpopo, the North-West Province and the Northern Cape. 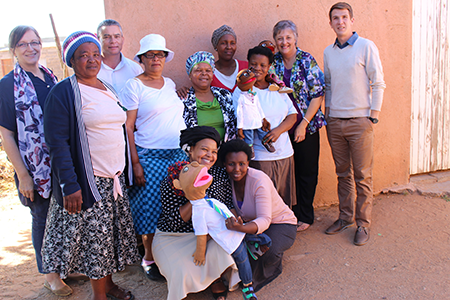 People in the Jan Kempdorp community, producing the puppets, with NWU researchers.